Britain financially compensates Arabs who murder Jews. It’s a lucrative occupation. The pay is generous: Especially to those Arabs responsible for the most heinous atrocities. “The UK cash comes from the Department for International Development, which will give up to £25.5million this year to the ruling Palestinian Authority (PA) as part of a £72million aid package…[T]he PA passes millions on to the infamous Palestinian Liberation Organisation (PLO) – which in turn gives it to convicted terrorists locked up in Israeli prisons and their families. The “Palestinian Authority” is the PLO – a Nazi contrived terrorist militia — renamed and then imposed on Israel by the Western powers led by President Bill Clinton. Muslim Brotherhood Hamas terrorists have profited too. One Hamas master bomber has reportedly been given more than £100,000. No surprise really: The U.K. has a long history of helping Arabs murder Jewish people in their ancestral homeland. Conveniently, while Jews are charged with “occupying”– yes, living in and restoring their ancient, indigenous homeland — few if any of their “anti-imperialist” accusers questions (much less protests) how it is Britain’s German queen holds title to, claims personal OWNERSHIP of one sixth of the earth’s non ocean surface, amounting to over 10 million square miles. The scandal of how Britain fritters away billions in foreign aid – including paying salaries to convicted terrorists who have murdered hundreds of innocent people – is exposed today by a major MoS investigation. The shocking revelation that thousands of Palestinian terrorists, including men who have masterminded suicide bombings and murdered children, are given cash handouts from aid money will cause anger and disbelief, particularly in the wake of the Brussels massacres. Our probe exposed how huge amounts of taxpayers’ cash, that critics say should be spent in Britain, is being ‘squandered’ on wasteful schemes elsewhere by the Department For International Development (DFID) and Foreign Office. We dug beneath the headline figures on DFID’s websites to reveal waste and misguided largesse which seemed to extend to virtually every corner of the globe and which will shock readers. In the West Bank and Gaza, despite promises by the ruling Palestinian Authority (PA) to end the practice of paying aid money to convicted terrorists, our investigation revealed that they had simply duped the West by allowing the Palestine Liberation Organisation to hand out the cash instead. Britain gives £72 million a year to [Muslim Arabs in Jewish lands], more than one-third of which goes straight to the PA [the PLO]. It openly admits supporting terrorists whom it hails as heroes for fighting illegal occupation, awarding lifetime payments that rise depending on time spent in jail and the seriousness of crimes. One Hamas master bomber has reportedly been given more than £100,000. Other ‘salaries’ go to the families of suicide bombers and even teenagers involved in the latest upsurge of deadly attacks on Israel. DFID and the European Union are still effectively supporting these payments to thousands of terrorists – despite claims to have ended such links two years ago. This was confirmed to the MoS by former prisoners and families receiving the cash, and in official statements by the PA.
We also visited a lavish £8 million palace that Palestinian president Mahmoud Abbas is having built on the West Bank . Ahmad Musa sits beside me, a convicted double murderer sentenced to life in prison. As we talk, I ask him if he did indeed kill the two men. ‘Yes, I shot them dead,’ he replies. Yet we do not meet in a jail cell. Musa is free, released after just five years. For he is a Palestinian terrorist and he was liberated under a peace deal. Like thousands more Palestinian prisoners, including jihadi bombers and killers of children, Musa enjoys his freedom after being awarded a ‘salary’ for life. But, astonishingly, the money behind these payments – described by some as ‘rewards for murder’ – flows from British and European taxpayers. The UK cash comes from the Department for International Development, which will give up to £25.5million this year to the ruling Palestinian Authority (PA) as part of a £72million aid package. Our investigation discovered that the PA passes millions on to the infamous Palestinian Liberation Organisation (PLO) – which in turn gives it to convicted terrorists locked up in Israeli prisons and their families. Some Hamas terrorist masterminds have reportedly been given more than £100,000. Other ‘salaries’ go to relatives of suicide bombers and even teenagers involved in the latest upsurge of deadly attacks on Israel. Several ex-prisoners confirmed to me that they were paid monthly stipends that started in jail. 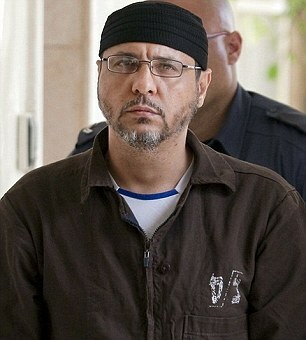 Among those paid is Abdallah Bargouti, a Hamas leader given 67 life sentences for lethal attacks in 2001 and 2002, including a restaurant bombing that killed 15 diners. He is thought to have earned more than £100,000 since conviction, handed to his family. The cash-strapped PA relies on foreign aid for nearly half its budget. Yet it gives £79 million a year to prisoners locked up in Israeli jails, former prisoners and their families. Although DFID says the salaries are ‘social welfare’ provisions, they go to people convicted of ‘acts of resistance’. The department also insists payments come from the Palestine Liberation Organisation (PLO), which was handed responsibility for prisoner welfare two years ago after concerns over aiding terrorism were raised in Westminster and Brussels. Yet the father of two brothers jailed for gun attacks on Israeli settlers and soldiers told me he received monthly payments of £428 from the PA as well as £285 from the PLO. The sprawling building sits high on a hill, a presidential palace looking down imperiously on thousands of beleaguered West Bank residents crammed in below. 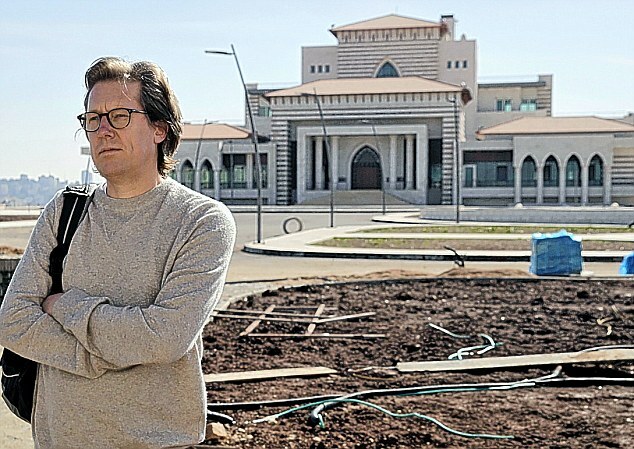 This £9 million palace in Sudra, just weeks away from opening, was designed for Mahmoud Abbas – a president whose domain is so dependent on aid that last year his Palestinian Authority had to pass an emergency budget when some was held up by Israel. In a nearby refugee camp holding 14,000 people, I asked the council leader his view of the palace. ‘Spitting is the least I want to do when I see it – I want to demolish it myself,’ said Mahmoud Mubarak, who added they were struggling to find cash for a community hall. ‘When a young Palestinian sees this going up, they wonder why it is being built with funds that should go on the people. In Gaza – a place where there is rampant poverty – I witnessed bizarre scenes: long queues of people at bank cashpoints. It was pay day for thousands of civil servants whose salaries are supported by Western aid, even though they have had no jobs since 2007. Mahmoud, an accountant, said he was given more than £1,000 a month. ‘I just sit at home, spending time with my family. Sometimes I travel abroad to visit relatives,’ he said. Others admitted to second jobs as shopkeepers and taxi drivers. One ex-teacher, who still draws his £6,000-a-year salary, confessed to running a dairy, completing a master’s degree in Britain and working as a journalist. ‘Getting paid from Britain while living here means you can have a good life,’ he said, although he added that his home was devastated in Israeli air strikes two years ago. The salary payments are a legacy of the Palestinian divisions since Hamas took control of Gaza from Fatah, the rival faction recognised by the international community. 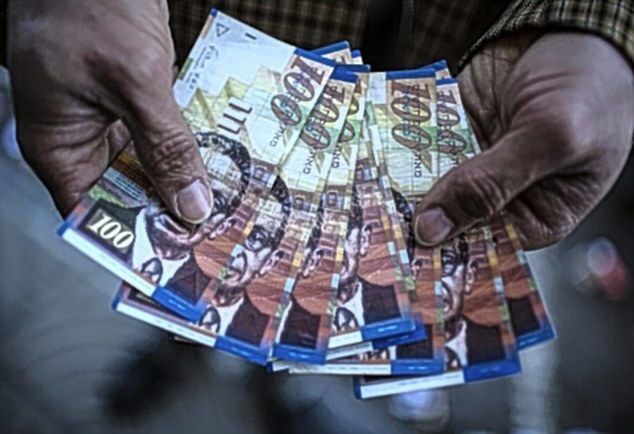 At least 60,000 officials were told to stop working by Fatah yet are still being paid. Many of them have been replaced by Hamas officials. Mohammad Aboshair, 37, a police officer, said: ‘We hoped it would not last long. It is really wrong to stay in our homes and get paid without jobs. I wanted to serve my country, not become a burden – this is crazy.’ Three years ago auditors urged the EU to stop the salaries. Critics condemned ‘blatant misuse of taxpayers’ money’ that undermined the credibility of Brussels when millions of Europeans were jobless. Dfid sources said the cash went only to civil servants on an approved EU list and insisted they took precautions to ensure British aid did not support Hamas.